"Baseball's perfect warrior, baseball's perfect knight." That was Stan the Man, one of my all-time heroes. We lost him this weekend, but in many ways we found him for a lot more people through this. 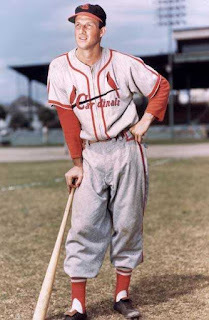 So many of the stories I've read by writers not in the St. Louis area talk about how Stan Musial was underappreciated, underrated, unrecognized. Not in my home town. Not anywhere KMOX could be heard, broadcasting the Cardinals' games to their diehard fans. Stan the Man embodied our love of the game of baseball, helped us build on that reputation of being the greatest baseball fans in the world. He was a constant. He was loved. He was ours. My memories are mostly through the recollections of my dad, who worked in Sportsman's Park as an usher in the '50s. Dad had a glove and a ball signed by Stan Musial, and an old black-and-white photo with Dad and Stan the Man, side by side. I don't know what happened to those gems, but my first softball glove bears the signatures of "Stan Musial" and "Lou Brock" -- thanks to a Fort Worth Star-Telegram sports columnist who, unbeknownst to me, snuck my glove to a sportswriters' convention and came back with the autographs. Those memories came flooding back Saturday night when Night Metro Editor Jim DeLa left me a voice mail with the news of Musial's death. I didn't check for messages until almost 11 p.m. -- and by the time I called, they already had this beautiful sports cover well in the works. Designer/copy editor Jon Sachtjen, with guidance from Sports Editor Tim Wolfrum, crafted this amazing tribute to one of the all-time greats in sports history. For the next few hours, I followed some threads on Twitter. #StantheMan and @cardinals offered some of the best links to columns and stories that poured out, from the New York Times and ESPN to fellow McClatchy journalist Joe Ostermeier at the Belleville News-Democrat. My brother called, I talked with my best childhood friend, my mom called ... we all shared memories. Still, my love of the printed word holds steady -- they're sending me a copy of the Sunday St. Louis Post-Dispatch, including a 14-page special section commemorating Stan the Man's life. And you can bet that this Bradenton Herald sports cover is going to be a keeper for me. As Musial's statue outside Busch Stadium declares, "Baseball's perfect warrior, baseball's perfect knight." That is our Stan the Man. Rest in peace. Final countdown is running for the official opening of the Manatee County Fair at 5 p.m. today -- but we've been in fair mode all week. And we didn't have to check with the weather service before grabbing umbrellas and jackets. Rainy skies and cooler temps are synonymous with the fair's first day! If you have fair photos we can post, email them to metro@bradenton.com Send your tweets with the hashtag #ManateeFair and join the fun. Reporter Katy Bergen and photographer Grant Jefferies were under the big tent at noon to capture Manatee's 2013 Distinguished Citizen: Ken Burton Sr.
What a resume this humble gentleman has! And there were four generations of Burtons there to honor him. Our community owes him so much. Just across from that tent is the Arts & Crafts' Chaires building, filled with more than 2,000 entries -- jewelry, artwork, crochet, quilting, photographs, you name it. Plenty of competition, which is why I have to brag on our Metro Editor Marc Masferrer. 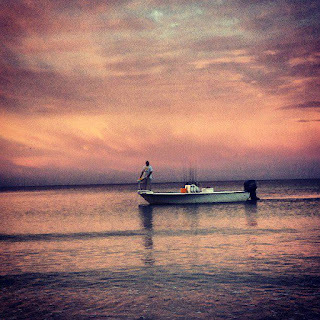 He sent a nonchalant email to me with a photo -- check it out! 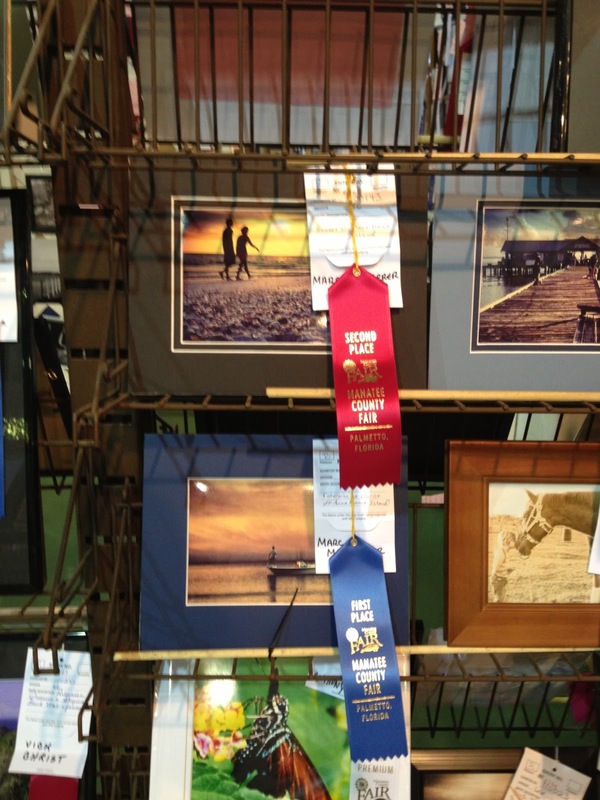 Marc is now a proud member of the 2013 Manatee County Fair Ribbon Winners. During the summer months, I spend a lot of time out of Anna Maria Island, including early Saturday mornings accompanying my wife Marie as she patrols the beach for Anna Maria Island Turtle Watch. 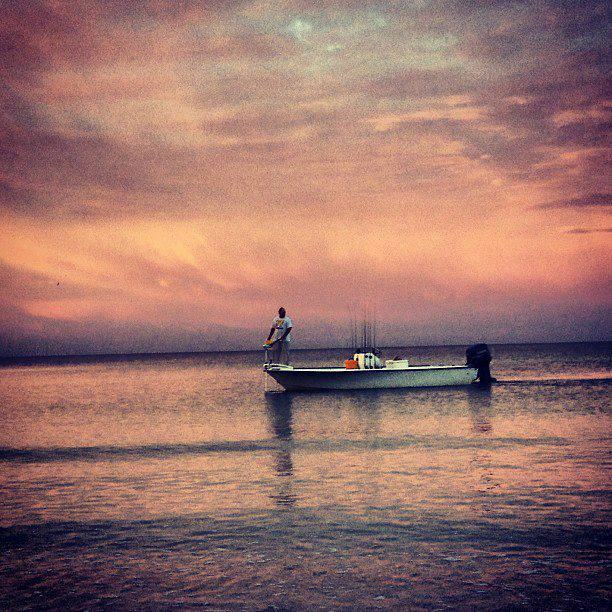 On one of the walks, I photographed a fisherman casting a net as the rising sun illuminated clouds in the western sky. 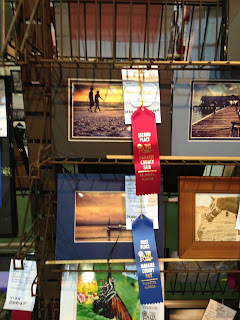 (this is the blue ribbon winner). Both photographs were shot with my iPhone and enhanced using Instagram. There's nothing that says "community" more than our annual fair. 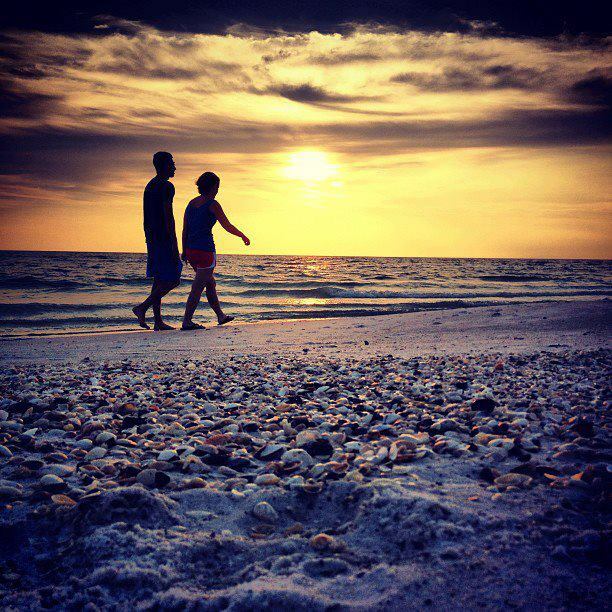 And there's nothing more beautiful than Anna Maria Island at sunset. How lucky am I -- they're both on my calendar this weekend.